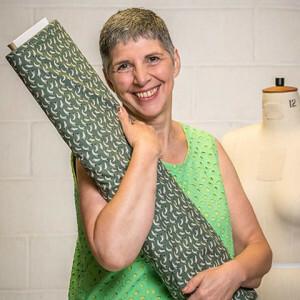 This entry was posted on February 7, 2019 by Sew Essential. We have another sewing scientist in the house! Ben trained as a veterinary surgeon and now works in science, but enjoys sewing as a creative pastime. Apparently he developed his sewing skills whipping up fancy dress costumes during his time as a student. 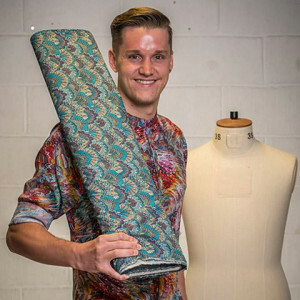 He has pattern drafting skills and sometimes even prints his own fabric designs. 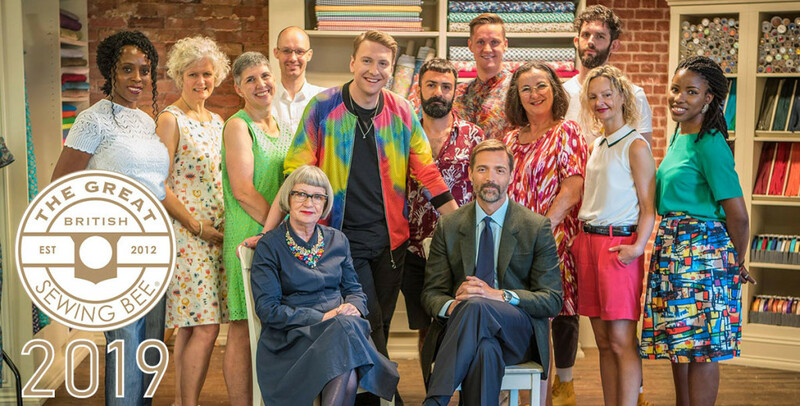 The big question is will Ben have the right chemistry for the Sewing Bee judges? As a little girl Janet was taught to sew by her Italian Mother and enjoyed dressmaking and creating soft furnishings. When her three children came along Janet took some time off from sewing, which turned into a 20 year break. In 2015 Janet got the bug again when she started sewing for her grandchildren. 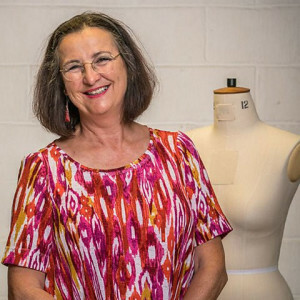 Janet enjoys upcycling outfits and adding special, unique details through machine embroidery and quilting. As huge fans of machine embroidery ourselves we do hope Janet gets chance to showcase these skills in some of the Sewing Bee tasks. As a former Solicitor Jen has had her fair share of experience of working in front of judges. Currently contemplating a new career Jen runs a local knitting class and has been sewing since she was a teenager. She likes sewing garments with structure, particularly with a Japanese influence. Jen's creative skills extend beyond sewing to silversmithing, pottery, photography and carpentry. With such a plethora of skills and experience of staying cool in the courtroom is Jen the one to watch? 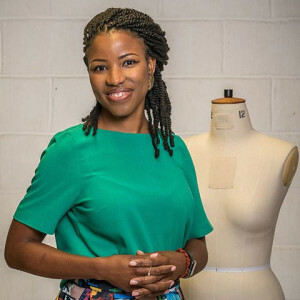 Juliet is originally from Nigeria where she was inspired to start sewing. 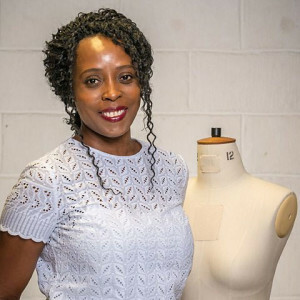 A dressmaker took her measurements over the phone and used them to create a bespoke dress. She experienced first hand the wonders of bespoke garments made to fit and that's enough to get anyone fired up surely? Juliet taught herself to sew using YouTube videos and DVDs and loves working with African wax prints and writes a blog sharing her makes and other interests. We can't wait to see those beautiful, bold African wax prints gracing our screens on those dreary February evenings. Another contestant with Italian heritage Mercedes was taught to sew as a child by her Italian grandmother. As a teenager she enjoyed making the clothes she wanted to wear rather than being limited by the choice of clothes in the shops. Mercedes now works in a school, however, previously served in the Territorial Army for many years. With her military background we reckon finishing Sewing Bee tasks on time will be no problem. Riccardo grew up in Salento, Italy, with his three sisters. 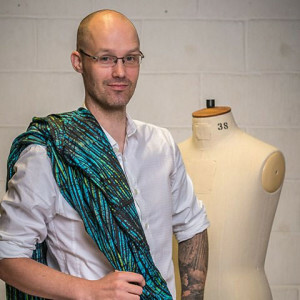 His Mother was a keen sewer and a sewing machine was ever present in their family home, however, Riccardo didn't start sewing until he moved to London as an adult. A keen advocate of sustainable fashion Riccardo believes in reusing and recycling wherever possible to reduce waste. One of his proudest makes is a leather jacket he created from a leather sofa he found in the street! 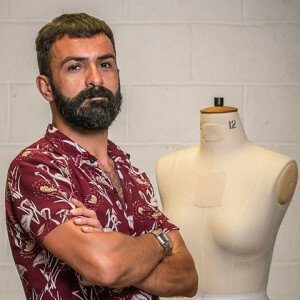 We're looking forward to Riccardo's first refashion task - sounds like even the furniture in the Sewing Bee studio won't be safe with his skills! 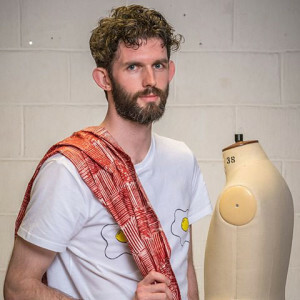 Tom has been experimenting with sewing for eight years and started dressmaking three years ago making dresses for his Mum. What a lucky Mum - fingers crossed one of my boys does this one day! He now also enjoys sewing menswear. Another self taught sewist Tom watched YouTube videos and read sewing blogs to help him learn to sew. By day he is a graphic designer and enjoys putting his skills experimenting with colours, textures and shapes to good use in his sewing. Like our very own Sew Essential family, Sheila grew up in a house where the whirr of her Mother's sewing machine was a permanent fixture. She wasted no time taking up the hobby herself and has been sewing for 40 years. She loves classic and elegant style taking inspiration from the likes of Meghan Markle and Victoria Beckham and dreams of producing high end garments for women everywhere. Personally I can't get enough of Meghan or Victoria's style and am looking forward to seeing Sheila's Sewing Bee take on couture. Having spent a chunk of her career working in the prestigious V&A, Southbank Centre and Barbican Centre Leah is no stranger to culture and creativity. Five years ago she decided to start making clothes for herself in a bid to create high end pieces that are beyond her budget in high end design houses. Alexei is a manufacturing engineer with a degree in aerospace engineering. I don't know about you, but that all sounds very impressive to me?! Although clearly mathematically and scientifically gifted Alexei also has a very creative side. He enjoys occasionally singing having trained at the Royal Welsh College of Music and Drama and started sewing two years ago. 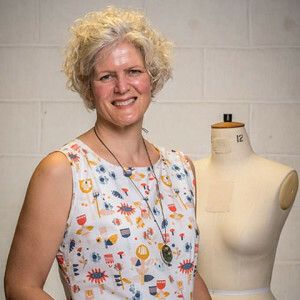 We're always striving for the perfect finish on our handmade garments here at Sew Essential so we're sure we'll enjoy seeing Alexei's skills for precision and accuracy put to good use in the Sewing Bee. The usual format will resume with lucky contestants facing three challenges in week one. First of all they will be asked to create a Dior inspired wiggle dress from cotton fabric. The judges will be looking for the perfect fit. Who will make a good start with their darts? Who will keep their wits and nail that fit? Secondly they will be asked to refashion three denim garments into one piece. Who will have the most artistic flair and the ability to see past the unloved denim cast offs they are presented with? Finally they will be required to make a jumpsuit for a real life model. Time to focus on that crotch curve and see who is jumping for joy with garment of the week. Don't forget we'll be sharing our thoughts on each episode together with shopping lists for all the gadgets and gizmos, patterns and fabrics we spot right here on the blog. Stay tuned!